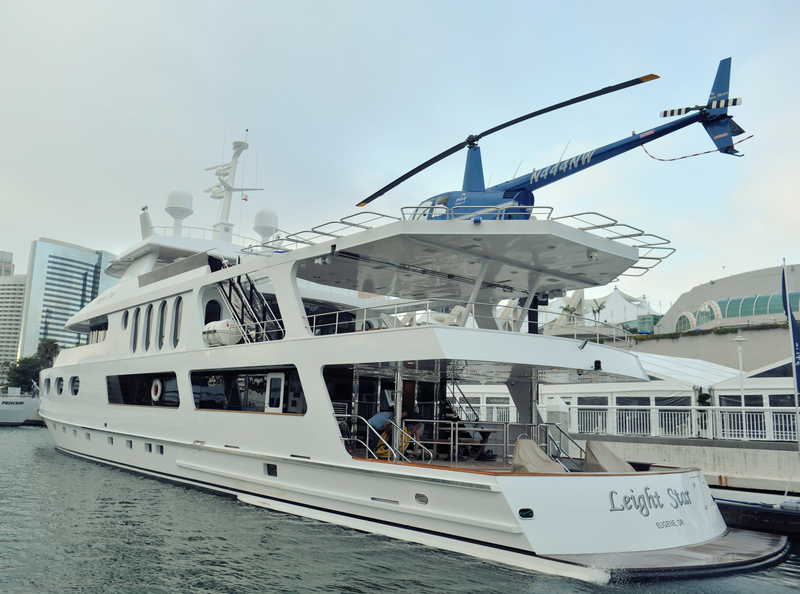 Yesterday, Bill went out at sunset to land the R-22 on a beautiful mega yacht called the Leight Star in Downtown San Diego. This super luxury yacht has a heliport landing pad so you can actually land your helicopter on the yacht. Now navigating this landing was a bit technical but Bill pulled it off beautifully and it certainly was a rush watching him do it. 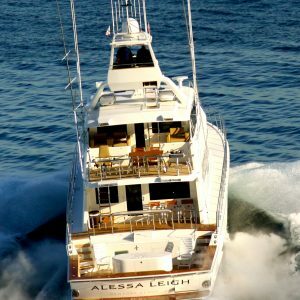 What a great afternoon and we caught some nice shots of the boat too. 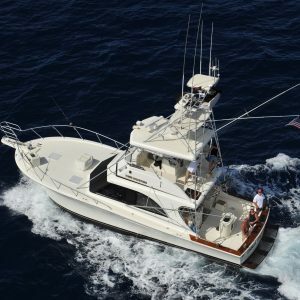 Bill successfully navigates the approach to the Yacht. He is just seconds away from touching down and everyone can breathe a sigh of relief. Bill approaches the Yacht. 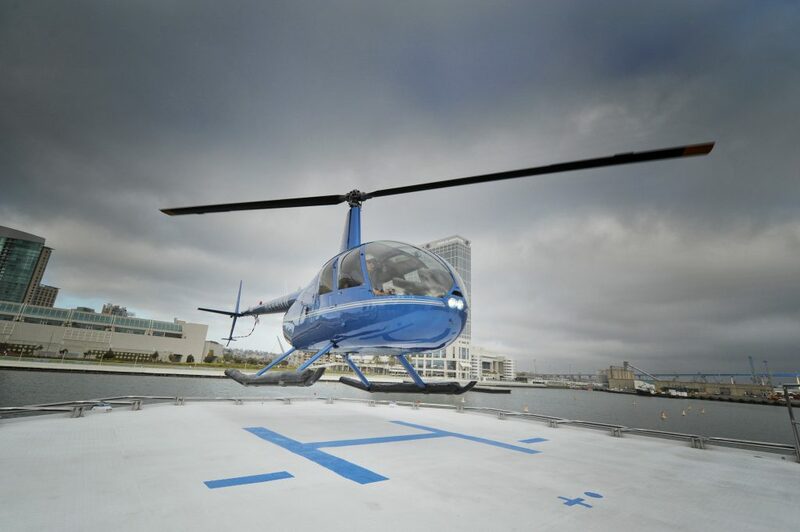 The Helipad is just big enough to land the chopper on. There is no room for error in this maneuver and everyone holds their breath. 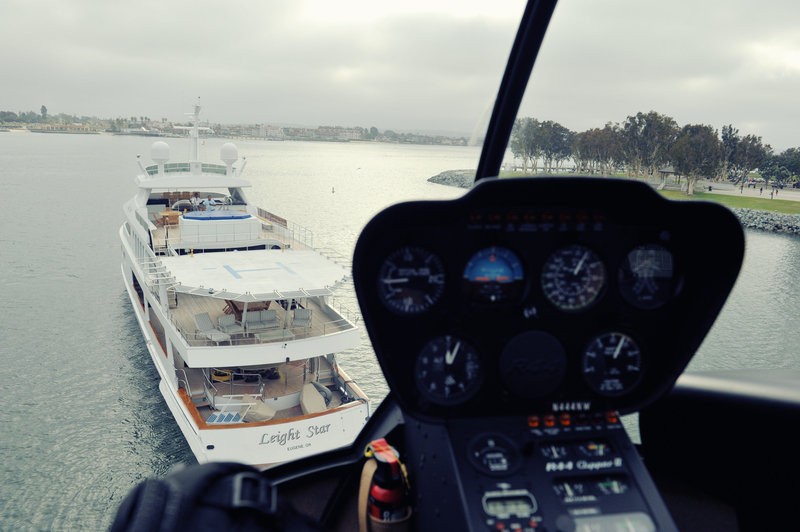 The beautiful Mega Yacht sits in San Diego Harbor: the R22 adding another layer of beauty to the already beautiful Leight Star.